And then, put the yogurt into pot ,add green paper ,salt ,black pepper etc. seasoning. 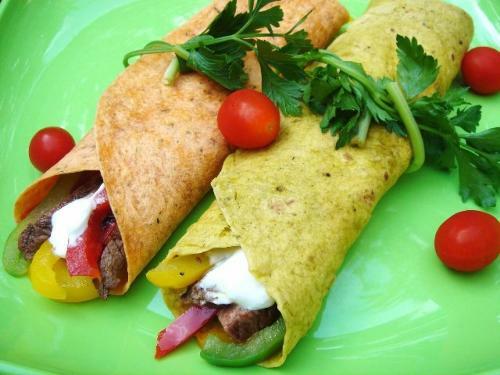 Lastly,pancake spread, put the above cooked papper and beef; add tacosauce or salsa and yogurt . rolled up the oancake. Mexican Beef Roll is ok.